Taipei, Aug. 22 (CNA) A 65-year-old man in Tainan who shouted, yelled, punched and kicked his way to sleep every night scared his family to the point it thought he was possessed by a ghost. 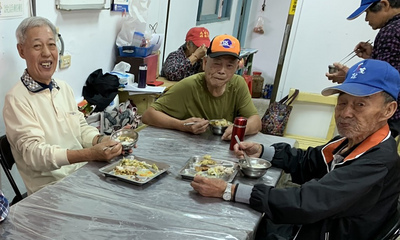 But after repeated consultations with gods at local temples were unable to cure the man, his family decided to bring him to Tainan Municipal Hospital to see if the affliction might have a more earthly explanation. Tsai Tsung-ju, a physician in the hospital's Department of Internal Neurology, said Monday that the man actually had Parkinson's disease and that his symptoms were not unusual. The doctor said the man's relatives thought he was simply having nightmares when he shouted, yelled and kicked in his sleep, but as time passed, his movements grew more violent, and he eventually ended up punching and kicking his wife in the middle of the night. According to the man's family, he remembered nothing after waking up. During the day, he was often in a daze and moved slowly. The abnormal behavior led the family to think the man was possessed by ghosts since it is now Ghost Month on the lunar calender, Tsai said, but in fact the symptoms were explained by more scientific means. Tsai explained that human sleep is made of four major cycles, each lasting around 90 minutes. One of the cycles consists of "rapid eye movement," during which people experience the most vivid scenes of a dream if they are having one. Under normal circumstances, the brain will suppress muscle movements during the phase, leaving people appearing completely paralyzed physically even though they have an active dream. To people suffering from degeneration of the central nervous system, however, their brain can no longer suppress such movements. As a result, such patients -- mostly male and aged above 65 -- will "perform what they are dreaming," Tsai said. According to Tsai, the "dream performing" disorder is often a sign of many neurological disorders, including Parkinson's disease and Alzheimer's. Taking Parkinson's as an example, around 14 to 33 percent of patients will be affected with such sleep behavior disorders several years before developing movement-related symptoms, like shaking, rigidity and slowness of movement, Tsai added. He noted, however, that there exists medicine that can control and improve the sleep disorder.